What Are Reverse Mergers and How Do You Spot One? Companies want to go public fast but what if it's too good to be true? When a private company wants to go public, it’s usually a complicated process. There’s the work of hiring an investment bank to underwrite and issue the shares. There are regulatory approvals, a long due diligence process, lots of paperwork and waiting for market conditions to be right for launch. There is, however, a faster way to go public. It’s known as a reverse merger (or reverse takeover) and while it can be advantageous for some private companies to go this route, the practice has been used by those engaged in fraud and scams. Let’s examine how reverse mergers work, and what investors need to be aware of. A typical initial public offering can take months, or even more than a year to complete. A reverse merger allows a private firm to go public much faster, and with lower legal and accounting fees. With a reverse merger, a private company is merging with an existing, smaller company that’s already listed on an exchange. In some cases, the public company is a shell company owned by the investors in the private firm. So for example, the owners of ABC Corp., a private company, will form a public shell company called “Awesome Corp.” (It’s important to know that Awesome Corp. really only exists on paper.) In a reverse merger, ABC Corp. will “merge” with Awesome Corp. to form a new public company. It’s important to understand that, unlike in an initial public offering, there is no capital being raised immediately during a reverse merger. That’s the major reason it can happen more quickly. But, this also means that reverse mergers are only appropriate for those firms that don’t need cash right away. Companies looking to raise cash quickly are better off pursuing an IPO. There are several high-profile cases in which companies engaged in a reverse merger and went on to huge success. 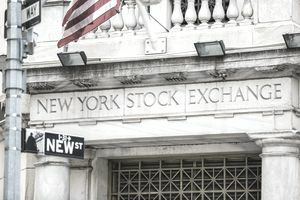 When the New York Stock Exchange went public in 2005, it merged with Archipelago Holdings, an electronic trading service that was already publicly traded. When legendary investor Warren Buffett took Berkshire Hathaway public, he merged it with a public textile company that he controlled. Other notable reverse mergers have included Jamba Juice, Texas Instruments, Waste Management, and Burger King. Ted Turner, Armand Hammer, and other famous business leaders have used reverse mergers to take companies public. But for every successful, high profile reverse merger there appears to be a case where organizations engaged in unscrupulous practices. In many cases, this cost investors money when the fraud was uncovered. In the years following the financial crisis in 2008 and 2009, many Chinese companies sought to enter the U.S. markets using reverse mergers. Mergers were commonly set up with old, abandoned companies that were still listed on stock exchanges. The newly formed companies ultimately had revenues that were far less than claimed, and in some cases barely existed as businesses at all. American investors put money in these bad companies, and they were a meaningful part of 401(k) and other retirement plans. Financial losses to American investors have been estimated in the tens of billions of dollars. Why is the company engaging in a reverse merger and what are its goals? What do we know about the existing public company? Is it a legitimate, money-making business or simply an abandoned company that never got de-listed from a stock exchange? What do we about the executives and their background? Who has performed the company’s financial audit? The Securities and Exchange Commission notes that many bad reverse mergers have been carried out by smaller auditing firms that don’t have the resources to do things thoroughly, especially if the merger involves a company from overseas. When examining a reverse merger, ask yourselves these questions. If you don’t like the answers you are getting, it’s probably best to stay away, or at least wait until you get more information. How can investors take advantage of reverse mergers and avoid exposing themselves to risk? It comes down to the most powerful word in investing: patience. If you learn that a company may be engaged in a reverse merger, avoid any temptation to act right away. Take time to allow the merger to complete, then watch the company’s performance. Take time to understand its products and services, and learn about its management team. Pay close attention to its revenues and expenses. Over time, you’ll learn whether the company is on a strong financial footing or not. Is it possible you’ll lose out on some profits by not getting in on the ground floor? Sure. But when investing with a long time horizon, it’s not going to matter all that much. And by waiting, you avoid any possibility that the reverse merger was part of a fraud.